Earth has truly become the planet of The Planet of the Apes, as we can't seem to go longer than a few years with yet another movie in the long-running series. Up next, there'll be yet another Apes prequel (the third for those keeping count), and new details for the film have emerged. Following Rise of the Planet of the Apes and Dawn of the Planet of the Apes, the next ape-earrance of these furry creatures will take place in a film called The War of the Planet of the Apes. The film is being written and directed by Matt Reeves, who previously directed Dawn along with films like Cloverfield. Oh yeah, he also created a little TV show called Felicity. 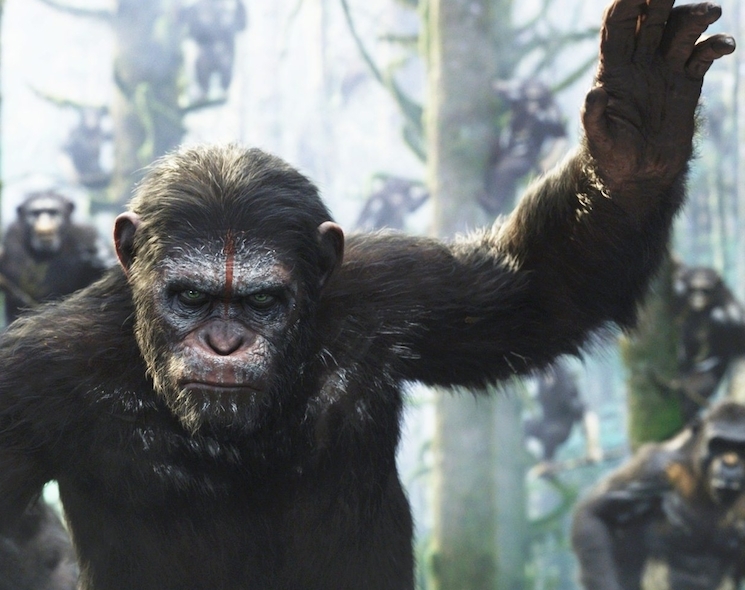 War of the Planet of the Apes will arrive on July 14 in 2017. Here's hoping the world hasn't actually been taken over by apes by then.